Firms and tightens breasts. Read the testimonials! The treatment of flat chest. 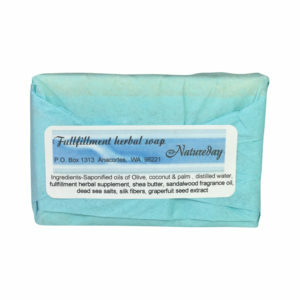 Natureday’s Breast Enlargement soap consists of olive oil, distilled water, coconut oil, sodium hydroxide, palm oil, fulfillment herbal supplement, she butter, sandalwood fragrance oil, sea salts, silk fibers, grape fruit seed extract. Results will be noticeable before the first 6 weeks, your breasts will realistically grow between a half of an inch to 2 inches in just 3 months. Product can be used as often as you’d like, best when used in the shower. The soap will not effect other parts of your body that it might run over. Try to leave soap lather on your breasts for at least one minute. The longer the soap lather can stay on your breasts, the better the results. There are no known side affects, besides breast growth. All the ingredients are 100% natural and organic herbs. Enlargement Soap works for both males and females!